For small communities with few or scattered historic records, social media has provided a valuable platform for sharing memories and building a record of local history. 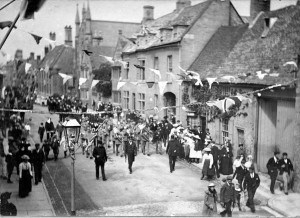 ‘Memories of Oundle and Surrounding Areas in Pictures’ is a Facebook group which shares old photographs and videos of a huge variety of past events and activities associated with Oundle. The purpose of the group is to allow people to share their recollections and history of Oundle. The group has an impressive 704 members and is still growing, and a total of 1,641 photos have been posted. The creator of the group, Susan Moore lived in Oundle from the age of seven until she married in 1968. 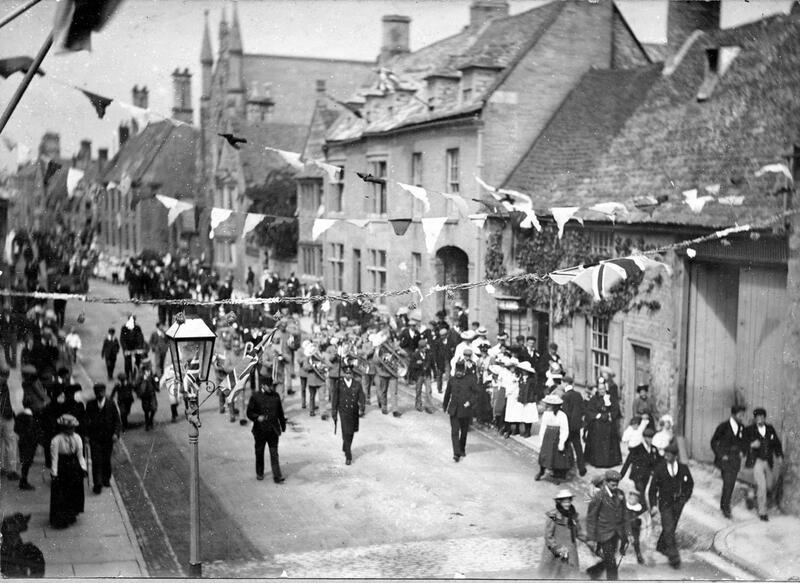 She later returned to Oundle with her family for several years, and has a strong and longstanding connection with the town. Susan started the Memories of Oundle group in 2014, after having already created another group for Oundle Secondary Modern and Milton Road infants schools in 2013. For this group she organised a very successful reunion at the Victoria Hall with over 200 former pupils attending. She then had the idea of sharing some of the photos they had collected over the course of the day, and the success of this group led to the setting up of a second group. Historic photos of buildings, school groups, street parties and family portraits can all be found on the group’s page. Members are able to share questions and memories of sentimental value to themselves and to others. Some of the more interesting posts include a photo of a herd of elephants standing outside the Kings Arms in Polebrook, and a photo of the Queens Mother’s visit to Oundle School in 1976. Some of the posts feature historic documents, such as the 1756 marriage licence for Robert and Elizabeth Peach. The group is a closed, members-only group, but anyone can message to join.